Leading the list is this year’s fastest man over the distance, Eric Kiptanui. 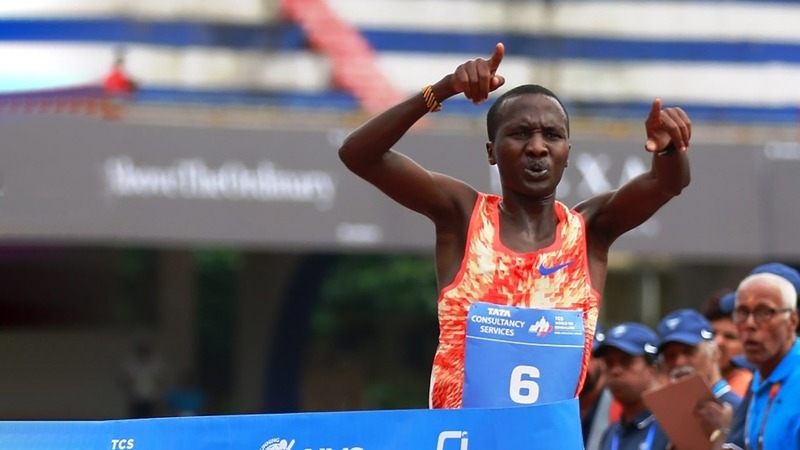 The Kenyan has already notched up two impressive half marathon victories in 2018, winning the high-quality Lisbon and Berlin races earlier in the year; coming home in the German capital in a world-leading 58:42 to move up to number four on the world all-time list. Kiptanui will be accompanied on his first trip to India by his training partner Daniel Kipchumba, who paced Kiptanui to 15km in Berlin. A few weeks later, Kipchumba stood on top of the podium himself after a win at the Verbania half marathon in Italy in 59:06. Two-time Tata Consultancy Services World 10K winner Alex Korio – whose best of 58:51 was set in the 2017 Copenhagen Half Marathon – has been a regular participant in Procam International events in recent years and has run the ADHM twice in the past, last in 2015, but has never faced either of his two compatriots in battle so the tactics between the three Kenyans will be fascinating to watch. Representing Ethiopia will be two men who are better known as marathon runners but who can still boast of outstanding half marathon credentials. Leul Gebresilase was second in the Dubai Marathon at the start of the year in 2:04:02 while Feyisa Lilesa won a memorable silver medal at the Rio 2016 Olympic Games, their half marathon bests are 59:18 and 59:22 respectively. Adding to the considerable global interest in the race, USA’s Leonard Korir and New Zealand’s Zane Robertson are also in the men’s elite field. Korir just missed the North and Central American record of 59:43 when he ran his personal best of 59:52 at the ADHM last year while Robertson holds the Oceania continental record with 59:47. All the runners, and the rest of the elite fields which were announced on Friday, will have in mind the very good course records in Delhi. The men’s mark is 59:06 and was set by Ethiopia’s Guye Adola in 2014 while the women’s course record has been standing since 2009 and belongs to Kenya’s Mary Keitany at 1:06.54. The two fastest women in the ADHM elite field, Kenya’s Caroline Kipkirui and Ethiopia’s 2016 ADHM winner Worknesh Degefa, will go head-to-head again after a memorable duel in the Prague Half Marathon back in April. Kipkirui – who set a personal best of 65:07 in Ras Al Khaimah in January – prevailed by just one second on that occasion to take second place in the Czech capital and it’s certain that Degefa will have that in mind ahead of her fourth ADHM appearance. Two other highly-rated Ethiopian women will also be on the start line in Delhi: Yeshaneh Ababel and Senbere Teferi. Ababel was second at the ADHM 2017 and has since been victorious at the Istanbul and Yangzhou half marathons while Teferi, who will be making her half marathon debut, has won world championship medals on the track and at cross country in the past and will arrive in Delhi fresh from setting a 3000m personal best when representing Africa at the recent IAAF Continental Cup. All the leading runners will also have in their sights first prize cheques of US$27,000 with a total prize money purse (combined men and women) of US$280,000. “We have two outstanding races in prospect for this year’s Airtel Delhi Half Marathon with Eric Kiptanui and Caroline Kipkirui leading the field,” commented Vivek Singh, joint managing director of race promotors Procam International. 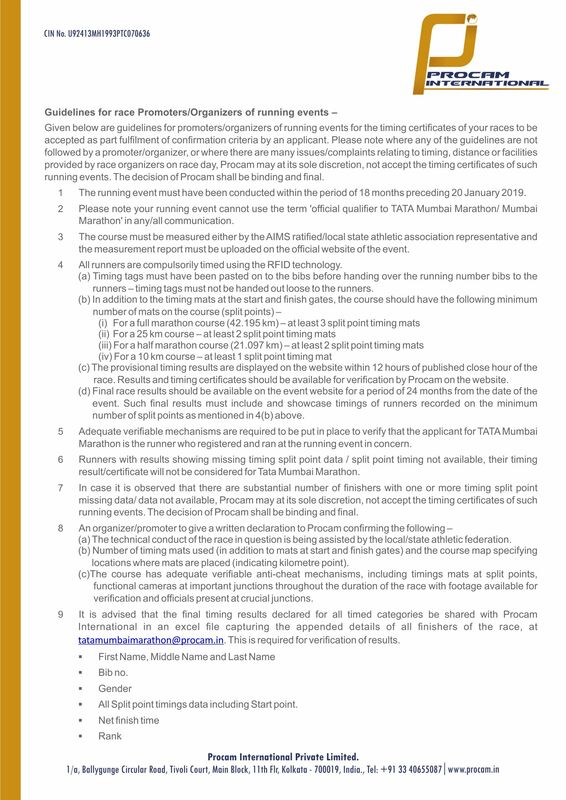 “Once again, we brought some of the best distance runners in the world to India with the aim of entertaining, thrilling and inspiring the Indian distance running community. ADHM’s standards and popularity is well-established across the globe, something we are very proud of, and with fields of this calibre 2018 edition should be no different.” he added.